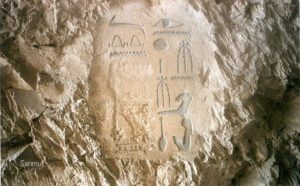 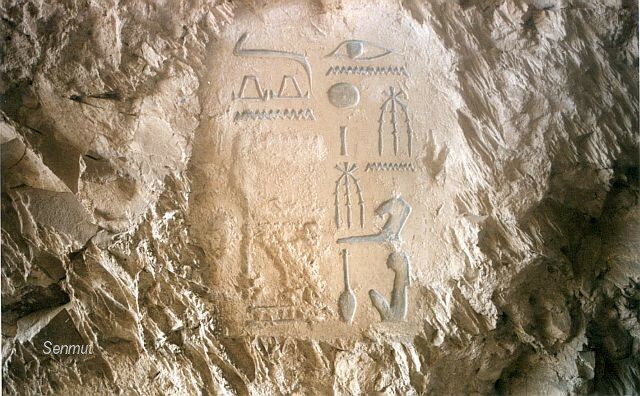 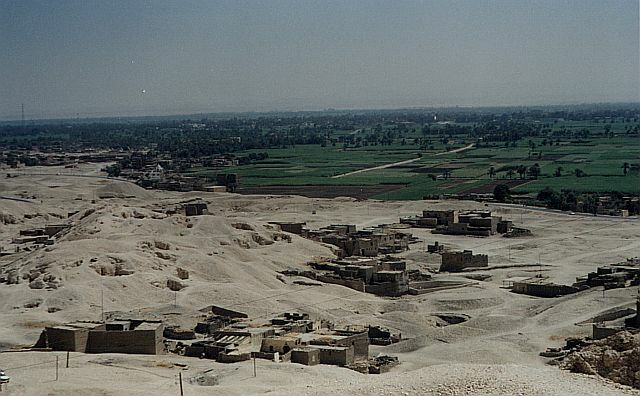 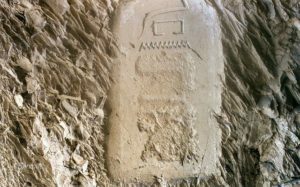 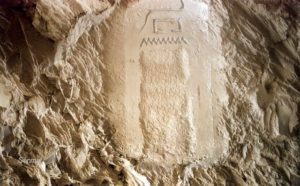 TT71 is the first tomb Senmut built, probably at the beginning of his career, only a few yards away from his parents, Ramose and Hatnefert. 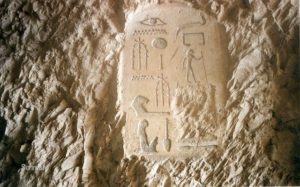 Also his brother Senmen is in the neighborhood. 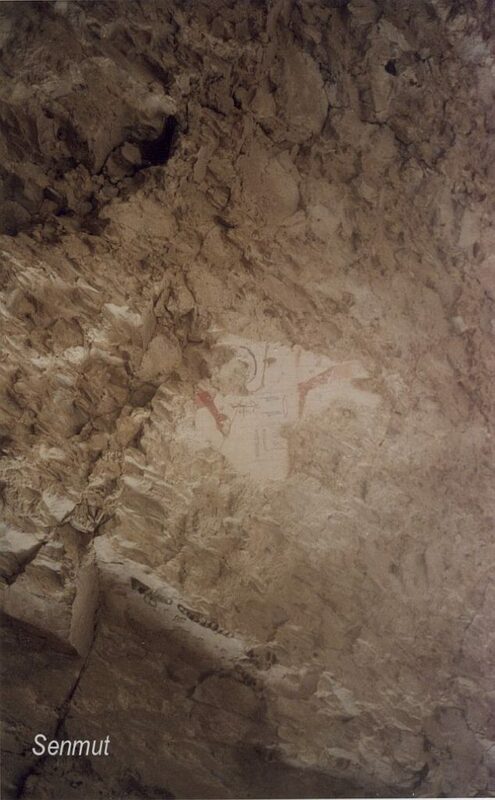 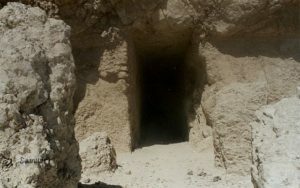 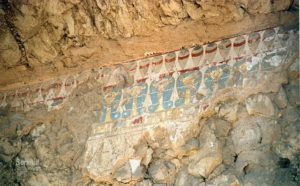 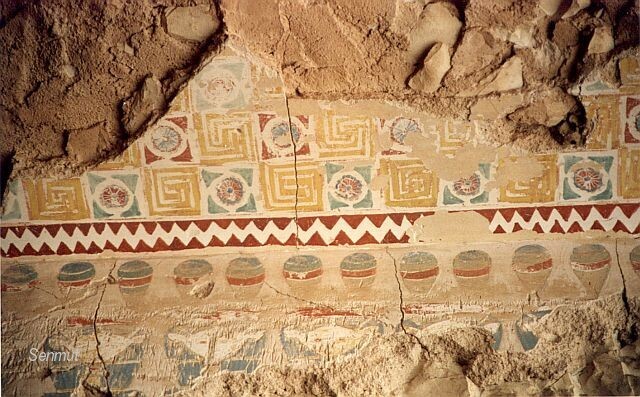 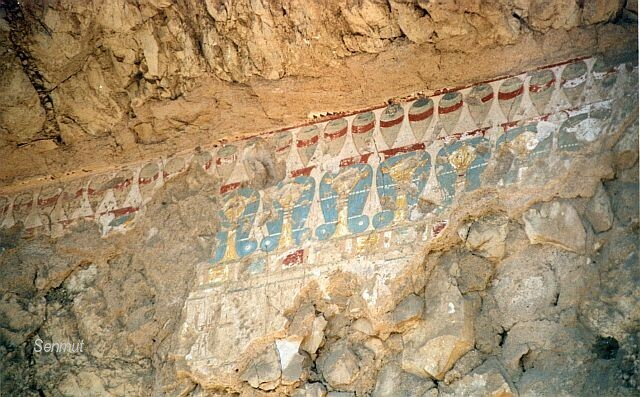 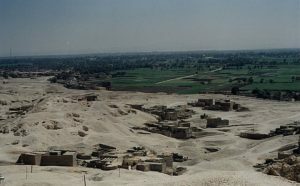 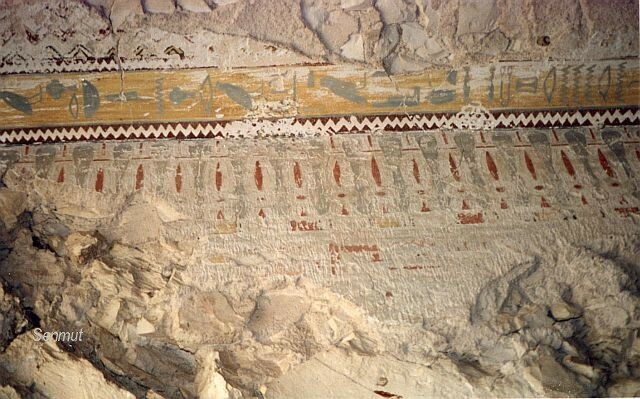 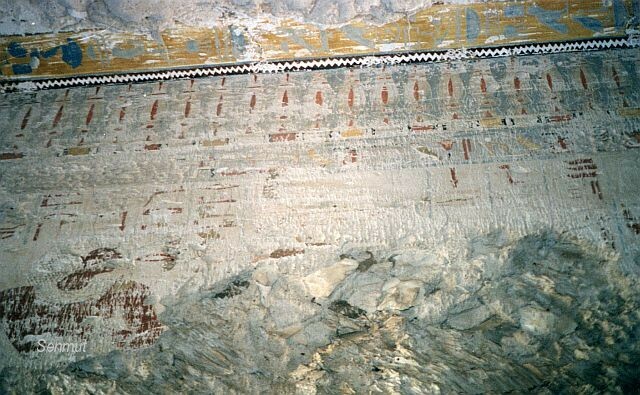 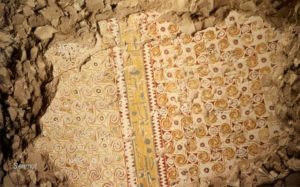 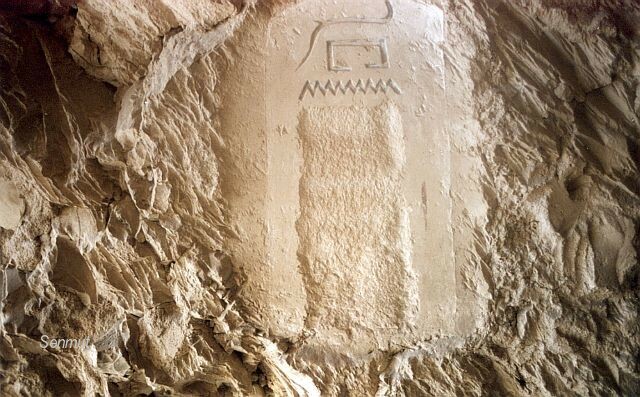 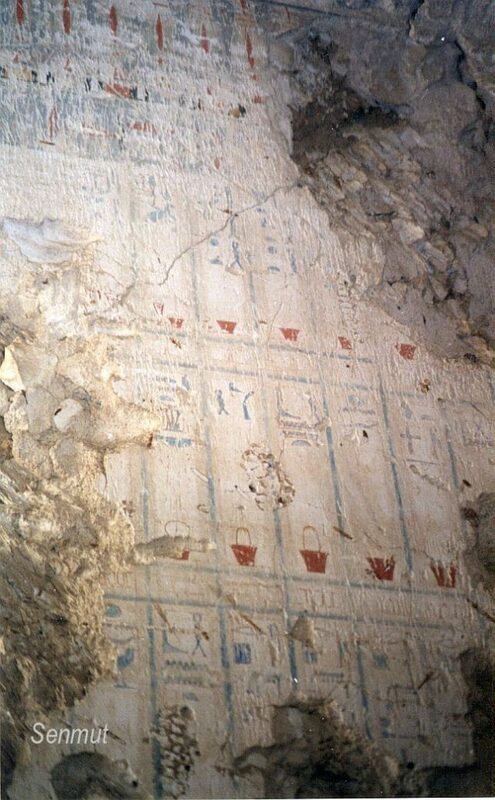 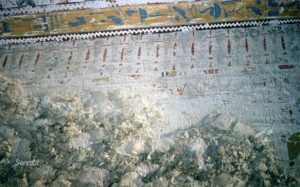 The tomb is located at the upper part of the Qurna hill. To the right downhill is that of his parents, of which in the 30’s the mummies were found. 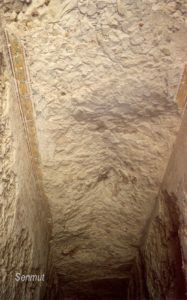 Also the anthropoid coffin of his favorite singer Harmose was discovered and a canopic chest, but no jars , only mummification balm and bindings. 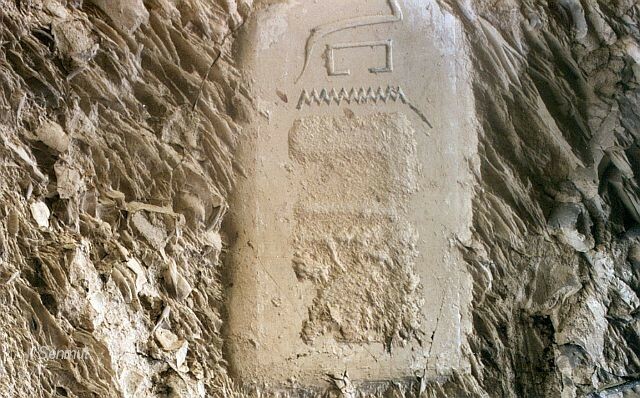 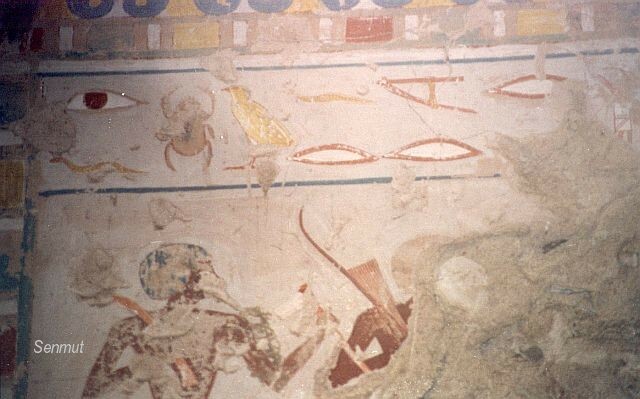 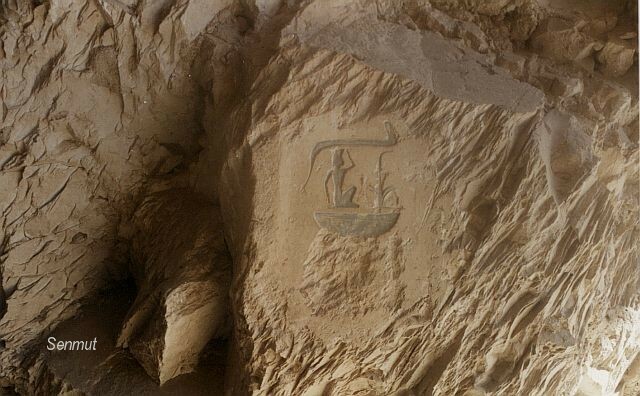 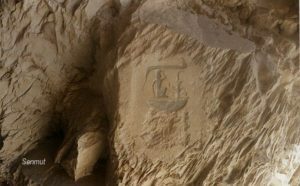 In the same vicinity a mummy of a young female child was found, bearing the name of Neferure?!?. 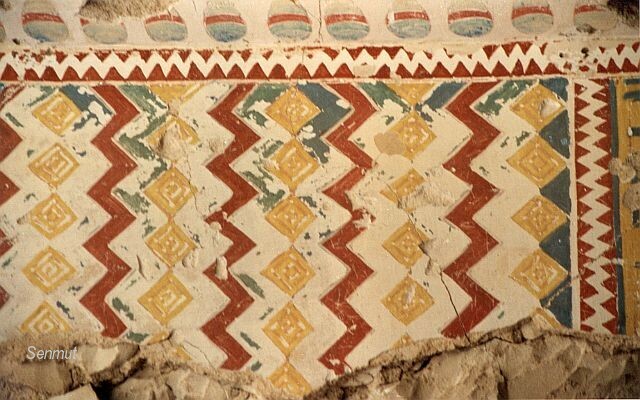 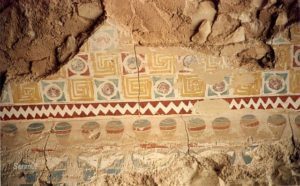 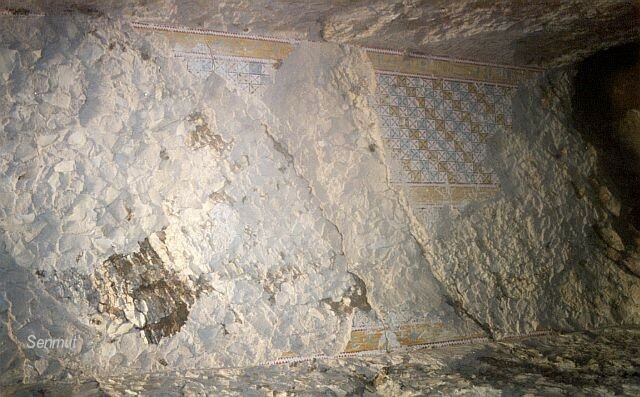 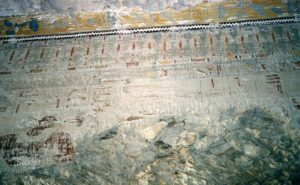 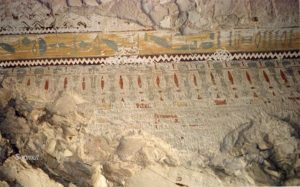 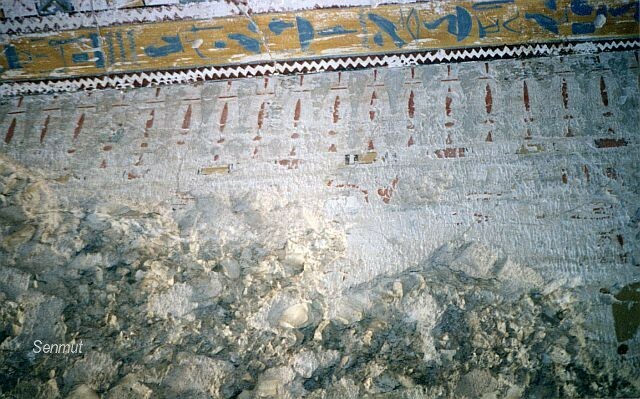 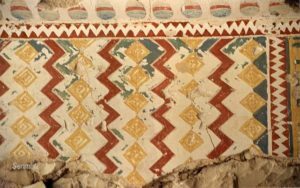 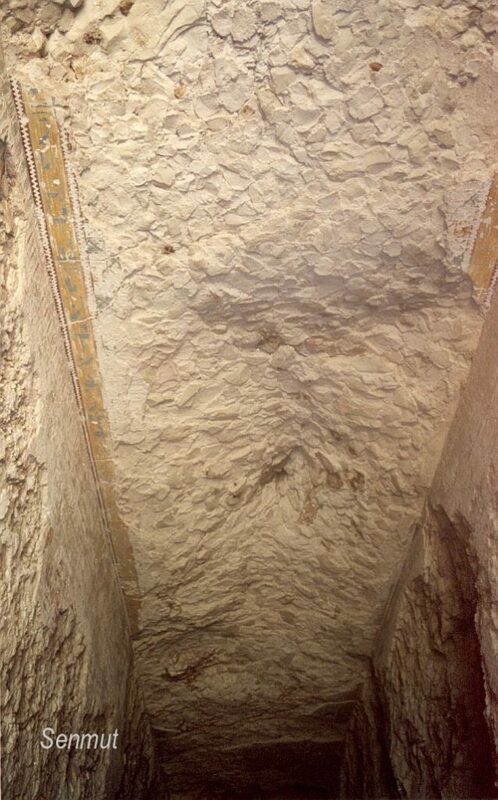 The tomb lies open and suffered severe damage from the rainfall, the paint on the walls is almost completely deteriorated. 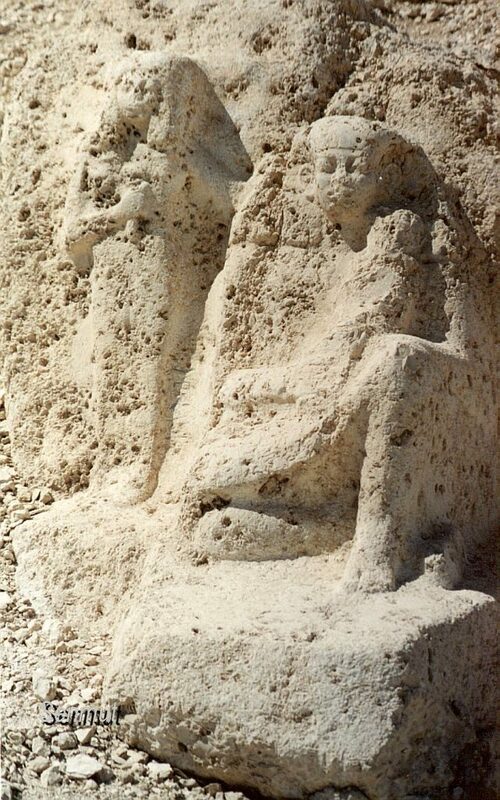 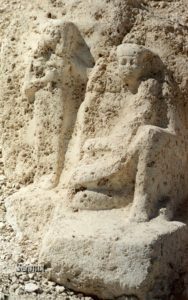 In front of the entrance is a worn out statue of Senmut and Neferure.